This is the latest released in The Heritage Series. George Redmond was there, with his video camera. 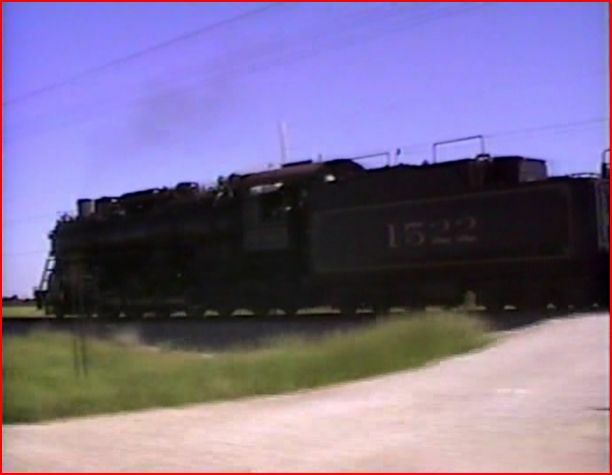 Steam locomotive excursions by Frisco 1522 in the late 1980’s. Beautifully restored 4-8-2, with passenger specials from The National Museum of Transport. Action from the St. Louis area. 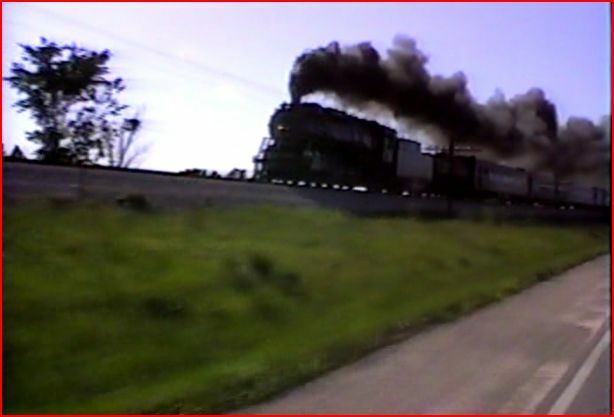 This is classic 1980’s era mainline steam excursions. Many assorted passenger cars form the train consists. The show has a basic pictured chapter menu. This time, the chapters are only identified as markers. Prefer, when they give locations and/ or years. No maps. A preview section is included. The show starts with a brief look at the restoration work on 1522. Progresses into the two featured special excursions. Let’s view some screenshots and you can see for yourself. Frisco 1522 at St. Louis, getting the train ready for the Decatur roundtrip in 1988. This show contains some nice shots. Video quality does show it’s age at times. The usual; flaws creep into some scenes. Color balance, flaring.. The majority of scenes have aged well, and do look fine. Production and editing are solid. Cab ride ride action aboard the 1522 at St. Louis. Yes, you will see more gauges etc.. Audio sounds excellent. DCP seems to have done it again with their soundtrack. Narration is in a relaxed style, letting the locomotive take center stage much of the time. Occasionally, DCP has a tendency to overdo it with bells. Such is the case with endless clanging at the station. It is only the one long segment though. Good pacing sequence east of Centrailia, MO. on the 1989 trip. An extended sequence that works nicely. Scanner traffic kicks into the audio. 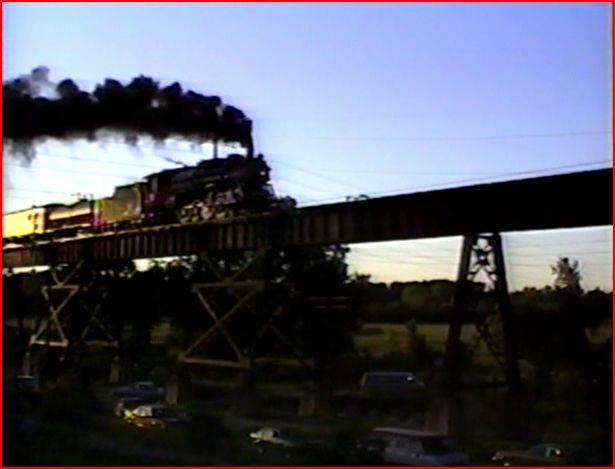 Viewers will get a long look at this loco traversing the line. The chase continues with some other views of the locomotive. St. Charles, Mo. is where this 1989 excursion will end. 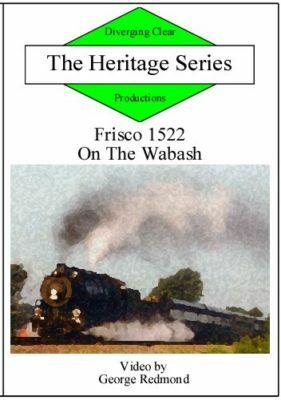 This is a good program that stars Frisco 1522. 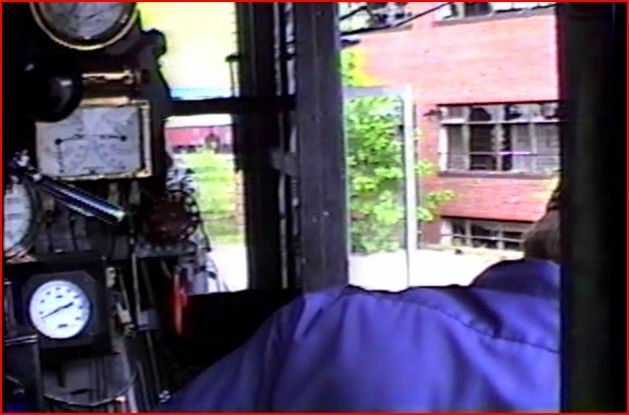 These restoration train videos offer viewers a modern look at vintage equipment in operation. These excursions are much less common on the mainlines these days. It is fortunate we have this type of show to see the old steamers at work. Steam fans will enjoy these outings in the company of 1522. 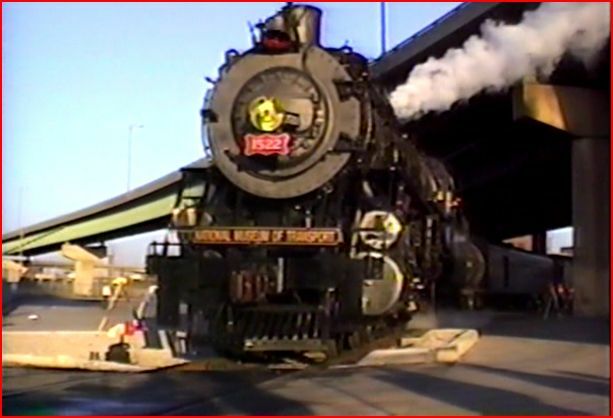 This entry was posted in ATVR Reviews, Diverging Clear Productions and tagged American Train Video Reviews, new releases, steam train, Train DVD by William J. Hudson. Bookmark the permalink.